New Jersey’s battle to offer full-scale sportsbetting within the state’s dozen casinos received another setback on Wednesday when the United States Third Circuit Court of Appeals denied an appeal by New Jersey in the case where the NCAA, NBA, NFL, NHL and MLB sued the state of New Jersey, its governor, Chris Christie, and prominent NJ gaming officials in an attempt to keep the state from implementing a 2011 referendum approved by voters that allowed sportsbetting in the state. The NCAA, the four pro sports league and the US Department of Justice (which joined in the case on the sports entities’ behalf) has secured an injunction against the case in winning the initial trial in February, which kicked off the Third Circuit appeal. The leagues and NCAA sought to see the mandates of the 1992 federal-level PASPA (Professional and Amateur Sports Protection Act) upheld, which allowed only those forms of sportsbetting within the US that would be “grandfathered” in. That included only Nevada’s full-scale sportsbetting offerings, which had been legalized back in 1949, and limited parlay-betting in three other states — Oregon, Montana and Delaware. Other than that, PASPA, known back then more as the “Bradley Act,” was designed to close the door on US sportsbetting. Yesterday’s 2-1 decision from the Third Circuit appellate panel means that the only likely chance New Jersey now has to enact its own laws is to petition the US Supreme Court to hear the case, and hope for a reversal there. While NJ Governor Christie has vowed to take that fight to the Supreme Court, that court itself accepts only a tiny percentage of the petitions it receives, so there’s a good chance the case won’t even be heard again, much less ruled on in New Jersey’s favor. 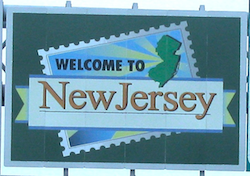 New Jersey gaming officials, in attempting to open the door to sportsbetting within the state, have alleged that PASPA in its current form is unconstitutional, and is in violation of two important legal doctrines, anti-commandeering and equal sovereignty, in that it creates preferential treatment for Nevada. ‘If two laws conflict with each other, the courts must decide on the operation of each.’ New Jersey’s sports wagering law conflicts with PASPA and, under our Constitution, must yield. Fuentes wrote that while ignoring the general relegation of gambling matters to the states, one of several “strong arguments” made by New Jersey in its appeal. Fuentes cited the three exceptions written into PASPA as important reasons why the leagues and the federal government should prevail, including the grandfathering regarding Nevada and the three parlay-bet states. Perhaps more importantly, Fuentes cited another of those clauses, one of which has been ignored in large part by the pro-gambling outlets covering the case: New Jersey and all other states were given a 12-month window following PASPA’s passage back in 1992 to enact similar full-scale sportsbetting, and chose not to do so. You won’t read about that in most gambling-industry reports, but Fuentes cited it as important factor in why the state can not now be allowed to change its mind. Despite the overlying fairness of New Jersey’s arguments in this case, “fair” and “legal” are seldom the same thing. Fuentes, in his majority opinion, has written that it’s far too late for New Jersey to uncook this particular goose. The 2-1 majority opinion including a dissenting statement by Judge Thomas Vanaskie, who concurred with some of the majority’s findings while disagreeing with others. Vanaskie agreed with the other judges that the league did have legal standing to pursue the case. New Jersey’s claims otherwise, that since the leagues weren’t party to the actual gambling transactions being legislated, that they lacked standing and had no economic interest, was pretty much laughed out of court by the appellate judges. Not only did all three judges concur that the spectres of cheating and game-fixing increased with gambling activity and could cause reputational harm, they also noted that without the activities of the leagues themselves, the betting opportunities simply wouldn’t exist. Yet, PASPA is no ordinary federal statute that directly regulates interstate commerce or activities substantially affecting such commerce. Instead, PASPA prohibits states from authorizing sports gambling and thereby directs how states must treat such activity. Indeed, according to my colleagues, PASPA essentially gives the states the choice of allowing totally unregulated betting on sporting events or prohibiting all such gambling…. The appellate decision means that at least for the short term, nothing changes. Nevada will remain the only US jurisdiction where full-scale sportsbetting is legal, pending future activity by New Jersey or another state and the required nullification of PASPA’s mandates. Wednesday was not a good day for pro-gambling forces, but it also wasn’t unexpected.